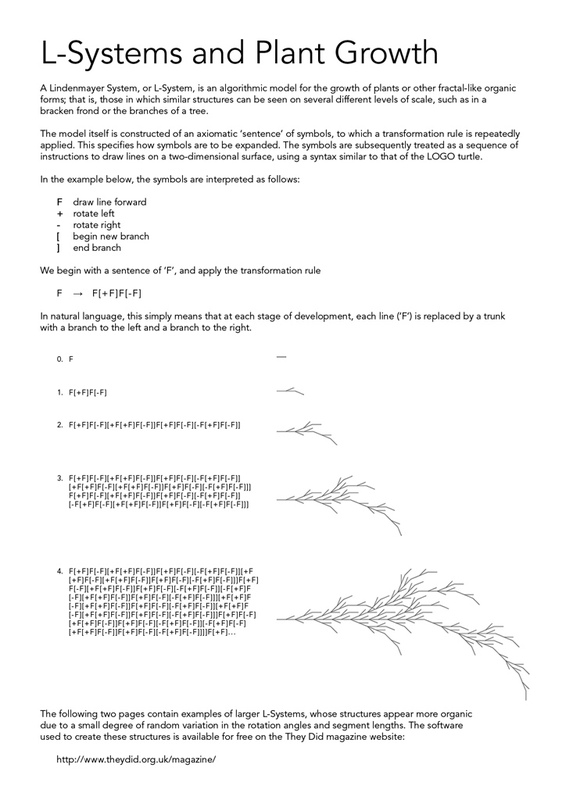 Plant growth modelling using Processing and Lindenmayer Systems. 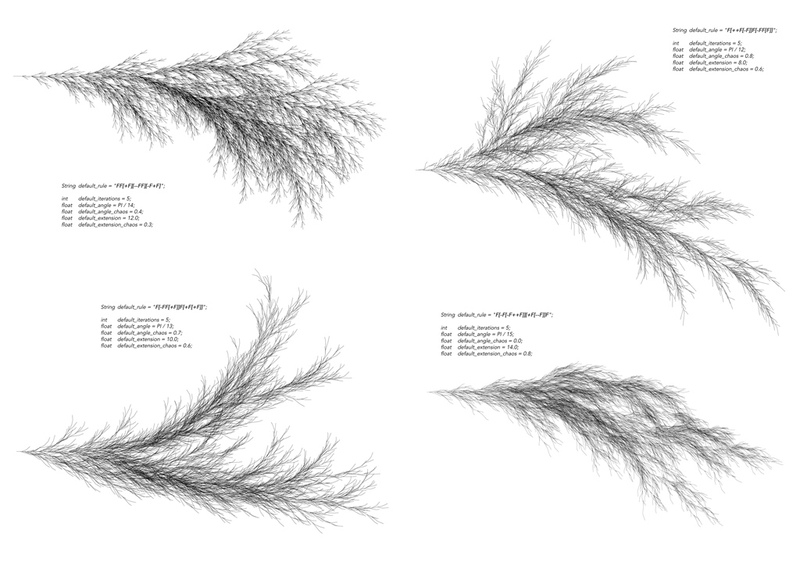 A Lindenmayer System, or L-System, is an algorithmic model for the growth of plants or other fractal-like organic forms. A set of production rules are iteratively applied to an initial state, represented by a string of symbols. The symbols of the system's final state are then interpreted as drawing rules akin to the LOGO turtle. This project, developed for They Did magazine, is an implementation of L-Systems written in Processing. A small degree of random variation is introduced to segment lengths and angles to increase the organic appearance of the structures produced.